ELMHURST – Hundreds of local parents inexplicably living in something called a “two-income household” and unable to afford a nanny or to rely on a single breadwinner for their family braved the frigid temperature, the constant rumbling of nearby freight trains, and the company of fellow Elmhurst residents by standing in line for hours outside the First Street YMCA Saturday morning for the opportunity to register their kids for a prized after-school program offered by the local community center that transports children from their school to the “Y” every day and allows parents to pick them up as late as 6:00 p.m.
With space for the 2017-2018 school year program limited by the maximum occupancy of one bus per District 205 school and further reduced by a grandfather clause that allows early registration for current program members, parents began lining up outside the First Street YMCA around midnight for the 6:00 a.m. registration start and were challenged to stay awake, to keep warm, and to interact on friendly terms with other Elmhurst residents competing for same program spots and whose demeanor ranged from “slaphappy” to “irritated”. While the stress weighed heavily on the minds of many parents waiting to find out if their children would get into the swanky after-school program noted for turning meagerly-athletic children into adequate swimmers, skaters, and mixed-martial arts competitors, others clearly embraced the comradery of waiting outside in the cold with their fellow residents. 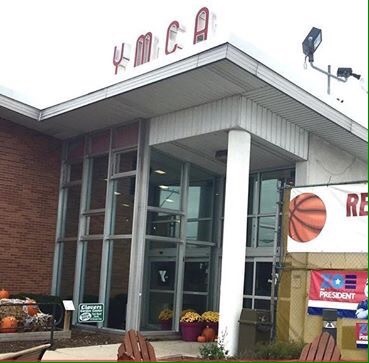 YMCA front desk clerk Brian Smoltz – scheduled to open the doors for registration at precisely 6:00 a.m. and instructed to “get the hell out of the way” after he does so – was concerned that some parents would display unhappiness or frustration if their kids weren’t able to get into the Y’s after-school program. Excellent writing Dave (and humor). Loved your hoop-house story as well, and from time to time, I still smile about those clowns on the prairie path.